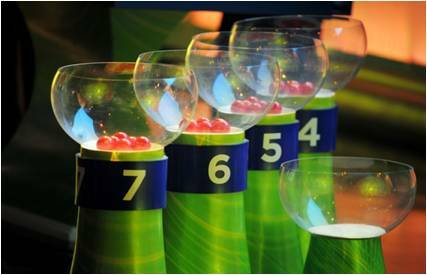 Blog » Updates » World Cup FIFA 2014 Kicks Off – Draw Is Complete! The live broadcast of the draw ceremony for the FIFA World Cup 2014 occurred last Saturday, an exciting start to the road to the next World Cup in Brazil. World champion Spain was drawn on Saturday with 1998 winner France, Georgia, Belarus and Finland in a qualifying group for the tournament – the first World Cup in Brazil in 64 years. The United States, featuring new coach Jürgen Klinsmann, was drawn with Jamaica in a qualifying group from North and Central America and the Caribbean. England was placed with 2012 European Championship co-hosts Ukraine and Poland in Group H. Montenegro, Moldova, and San Marino also are in that group. Italy will meet Denmark and the Czech Republic in Group B, while Germany faces Sweden, Austria, and Ireland in Group C.
The draw will determine the path of 166 teams in their bid to qualify for the tournament in three years. 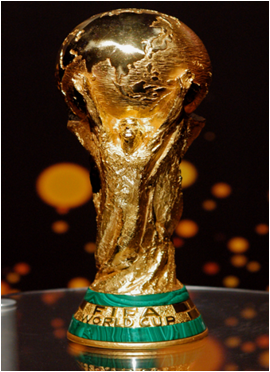 It was the first major World Cup event in Brazil since the South American nation was awarded the competition in 2007. As host, Brazil is the only nation that is not required to qualify. Fifty-three European nations were divided into nine groups, with the winners automatically qualifying and the eight best group runner-ups advancing to a playoff. European qualifying matches begin September 7th and finish October 15th, 2013. Spain is in a difficult Group I, the only one with five teams instead of six. The Netherlands, last year’s runner-up in South Africa, was drawn in Group D with Turkey, Hungary and Romania, while Portugal will have to face Russia and Israel in Group F. Group A has Croatia, Serbia, Belgium, and Scotland. Greece will play Slovakia in Group G, while Norway was drawn in Group E with Slovenia and Switzerland. The U.S. and Jamaica will be joined by two teams in Group A. Those teams will come from preliminary qualifying matches featuring Haiti, Guatemala, the U.S. Virgin Islands, and five other nations. Mexico is in Group B with Costa Rica, while Cuba and Honduras are in Group C. All three group winners and runner-ups will advance to a final qualifying round, beginning in February 2013. In Asia, Japan will face Uzbekistan, Syria, and North Korea in Group C, while Australia will play Saudi Arabia, Oman, and Thailand in Group D. Iran, Bahrain, and Qatar were drawn in the same Group E along with Indonesia; while China is in Group A with Iraq, Jordan, and Singapore. The African teams were divided into 10 groups for qualifiers beginning in November. South Africa, last year’s World Cup host, was drawn in Group A along with Botswana. Ghana, the best African team last year, is in Group D with Zambia and Sudan. South America was not included in the draw because the continent’s nine teams will be placed in a single group. They will play each other twice, home and away, with the top four finishers securing a World Cup spot. The fifth-place team will advance to an intercontinental playoff against a team from Asia. The other playoff will pit teams from CONCACAF and Oceania. The qualifiers began June 15th and will end November 19th, 2013, after 824 matches. Twenty-eight teams were eliminated in preliminary rounds before Saturday’s draw. The World Cup will be played from June 12th to July 13th, and the complete schedule will be announced in October. The total of 203 teams vying for a World Cup spot surpasses the amount that participated four years ago by three countries. The only associations not to have signed up to compete this time are Bhutan, Brunei Darussalam, Guam, and Mauritania. Seven nations have qualified for each of the last six World Cups—Argentina, Brazil, Germany, Italy, South Korea, Spain and the U.S. Germany has been the most successful team in World Cup qualifiers so far, with only two losses in 74 matches. Ronaldo, Neymar, Zico, and Zagallo were among the current and past Brazilian players participating in the draw. More than 35 coaches and representatives from 104 national teams were in attendance. Rousseff, Pele, and Michel Platini were also at Marina da Gloria Harbor in Rio. Strong wind damaged part of the auditorium holding the draw just before the start, but workers fixed the problem in time and the event was not disrupted.